Get That Mouse Out Of This House! Sometimes unreasonable fear can cause people to do strange things. So we try to help them with reassurance, understanding, and prompt attention – whenever possible. “I’m so sorry, ma’am. I can’t come this afternoon, but I can be there first thing in the morning.” Tom said. “No! Please, I’ll pay you extra. I need you to come immediately.” she pleaded. So, just as he promised, bright and early, Tom stood on her porch ringing her doorbell. He waited and rang again. Putting his ear close to the door he could hear a muffled response and shuffling furniture. “Just a minute!” she called out. Finally the door opened and there stood his customer on a chair. As he stepped into the house, he noticed a line of chairs, stools, ottomans, and other furniture coming from the kitchen. In his usual confident manner, Tom set about his task of pest control. And to help ease her fears, he carefully explained what he was doing, what she could expect, and told her multiple times that she was in no real danger of mouse attack. She had done the right thing by calling, and he reassured her that she could actually walk around on the floors in her home. This unreasonable fear of mice is called musophobia. It is best treated with therapy. Tom returned to her home in a few days to check the problem and happily reported that his treatment was a success. We never did hear if the customer went for therapy. 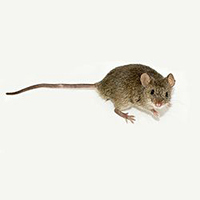 For information on Rodent Pest Control please call 303-706-9616. Thank You!